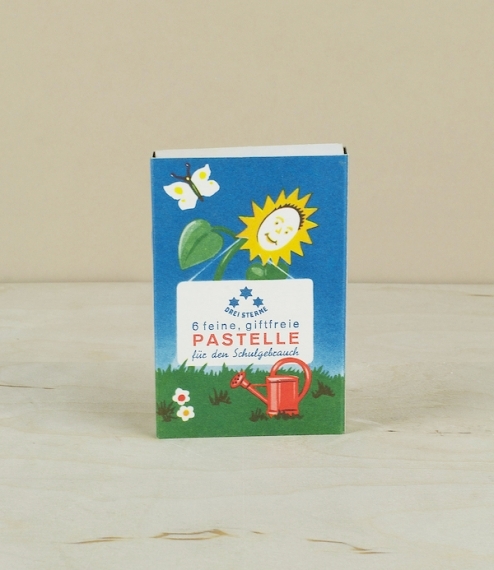 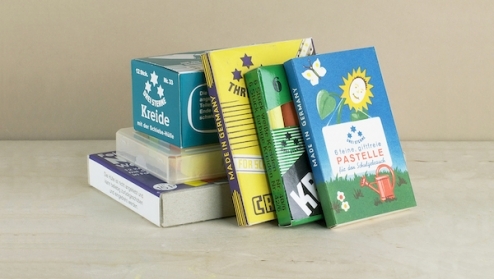 A pack of 8 coloured wax crayons, for children aged 3 years and upwards, made of safe materials and non-toxic pigments. 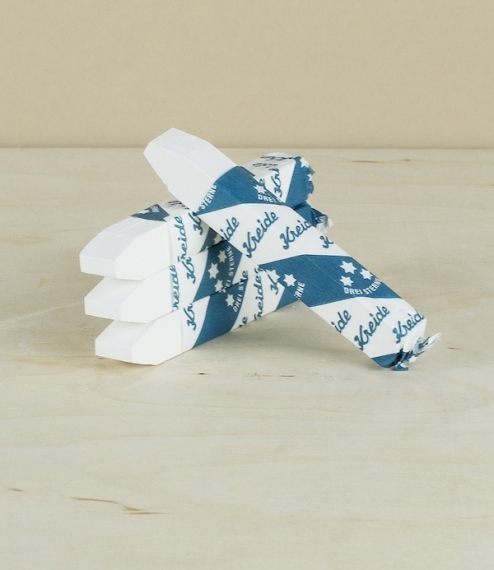 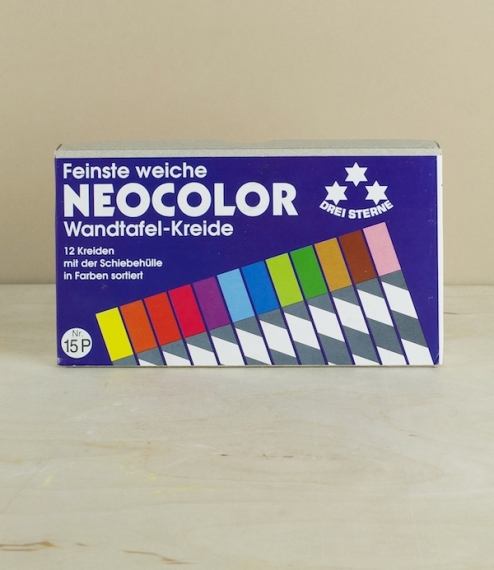 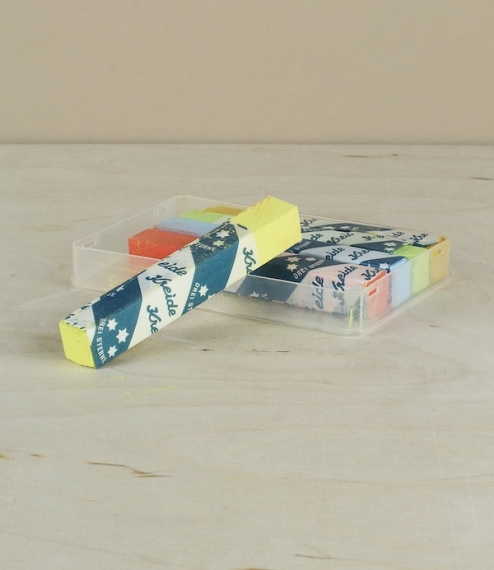 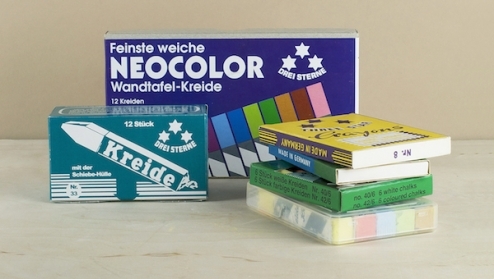 It was during the 1960's that the famous Drei Sterne chalk company began, in response to increasing demand, to produce the industrial marking crayons which are today the mainstay of its business. 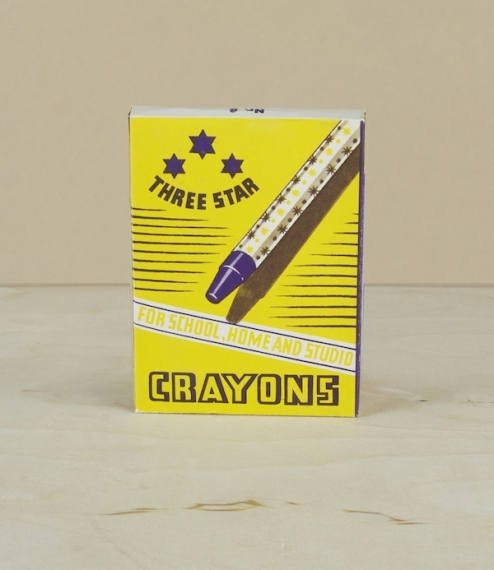 A side product of this shift in focus and expertise were these children's crayons, made with a high pigment load and quality wax.